horse, weapon, science, musical instrument, speech, and man and woman. (they all) become worthy or unworthy, based on who gets to use (employ/utilize) them. the arabian horse lost the race. the science of nuclear weapons. the politician lost election after the bad speech. in mahAbhArata, a horse trader from west (arabia?) comes to court of emperor shAntanu, to see if anyone could ride his fine horses, specially one uncontrollable white steed. everyone failed, but devavrata, the future grandsire bhIShma, did it. so, whose fault? horse's? 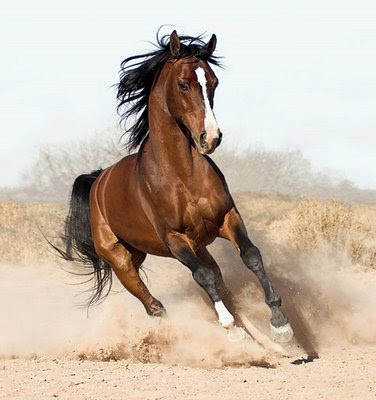 you need a special person to control a wild horse. why the control on deadly weapons? without proper security and training, they might get stolen or misused/abused. that is why the CTBT and IAEA controlling the world's nuclear weaponry. what percent of the population is scientist? not everyone can discover or invent new things. and how are the inventions used? chemical weapons don't make chemistry bad, but it the bad user (terrorist/dictator/or super power). it is not the fault of the lute that Cacophonix can't play it. if you don't tune the musical instrument, the guitar, how can you get good music? similarly for people. if the person and skill sets are not matched properly, how can anyone be successful? if the credit for success goes to the leader, the blame for failure should also go to the leader. here is the big management mantra! proper resource allocation doesn't mean just the head count, but the head "content" as well! it is very important to recognize the skills properly, and then assign people. the talents need to be recognized and used appropriately. there are few more related shlokas, and we will cover them as time comes. weapons were made of iron and steel. indian steel, wootz steel, was perfected even before the roman empire and was used to supply swords to the roman army! compare to astraM - a weapon that is thrown like arrow, spear etc. so shAstraM = the science, the pursuit of truths, are like command of the king. i.e. how can truth be disobeyed! interesting insight into the fact that science and "religion" or "god-stuff" was never in confrontation. shAstra-ukti - statement of science - was respected, revered. 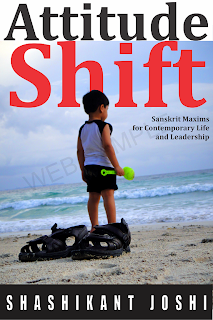 shAstrI = one who is adept in the shAstra. also a degree in sanskrit studies, like paNDita, viSharada, shAshtrI etc. vINA = one of the earliest musical instrument of india; divine saraswatI is shown holding it, celestial sage nArada carries it. music has a very long tradition in india. vANI = speech. from root 'vAk' - speech. other words - vAgdevI - divinity of speech (saraswatI), vAda = -ism; vAda-vivAda = debate. instead of 8 and 8. i think it is an error, and the way to make it 8 + 8 would be as i have put it. if someone has the correct definite form of the shloka, please let me know. also, this shloka might be from vidura-neeti, but i am unable to find it in my copy of the same. 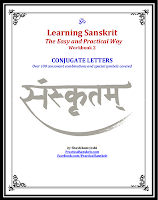 vidura-neeti is another master gem of a book, but its sanskrit is not always simple. so i will have to cherry pick only those that have vocab and simple sanskrit. How enlightening. I must applaud the great work you are doing. I cannot thank you enough for your posts and for your insight not only about Sanskrit as a language but the wisdom contained so many of the sahstras which are lost to us because of a lack of mastery over the language. i am glad you are reading them, and finding some value in them. knowledge and truth are always there. like the environment, they do NOT need to be rescued. it is US, WE, that need to be rescued by remembering the truth, knowledge and keeping the environment as conducive to human health as possible. so more important than my writing, is the fact that someone is reading and finding value.